Independent mobile developer MurWare has announced the launch of its reverse vertical platformer, Oley Poley, on Android devices. In many games, the setup is to climb, bounce or fly as high into the sky as possible, but in Oley Poley, users race to make it back down to Earth. In each game, users tap and hold on the left or right sides of the screen to cause Oley to roll in that direction. Each platform has a small gap Oley must fall through to make it further down the screen, while the platforms themselves are continually rising into the sky. With this setup, players have a limited amount of time to fall through those holes, which tests their reflexes and ability to plan ahead. Users will encounter power-ups at random, like winged boots that speed up Oley’s movement, black holes and adrenaline boosts. Users collect coins to increase their high score, but must watch out for rotten coins, which take away their points. 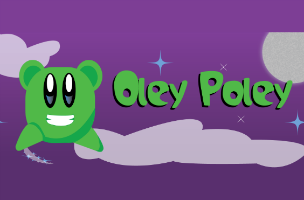 Oley Poley is available to download for free on Google Play, and is coming soon to iOS. Users can also purchase an ad-free version of the game for $1. MurWare will donate five percent of the proceeds of all paid downloads to charity.